경주는 동경유수관, 계림부 등으로 변화했는데, 경주 사람들의 동향, 정치세력과 국가체제의 변화 등이 작용했다. 경주가 오랫동안 동경의 지위를 유지한 원동력은 신라의 역사성과 문화성이었고, 자긍심과 토착성을 지닌 경주인들의 활발한 중앙 진출이었다. 어떤 가문이 중앙에 진출하여 번성하다가 쇠락하더라도 다른 가문이 진출해 번성했다. 동경 내지 계림부는 상층부인 동경유수관 혹은 계림부와 하층부인 慶州司로 이루어졌는데, 전자는 중앙에서 파견된 관원들로, 후자는 경주 지역의 향리들로 구성되었다. 동경유수관은 유수사 혹은 유수, 지유수사, 부유수, 판관, 장서기, 법조, 의사, 문사 등으로 구성되었는데 초기에 유수사 위에 판유수사가 두어진 적도 있었다. 계림부는 부윤, 소윤, 판관, 장서기 등으로 구성되었다. 동경유수관의 판유수사는 재상급이었지만 유수사 내지 유수는 대략 3품 정도였다. 고려말에 계림부로 격하되지만 구성원의 지위는 높아져 부윤에 재상급이 종종 임명되었다. 경주 향리는 호장ㆍ부호장ㆍ호정ㆍ부호정 등의 本司, 군무를 담당하는 병정ㆍ부병정 등의 司兵, 재무를 담당하는 창정ㆍ부창정 등의 司倉 등으로 이루어졌다. 고려말 경주에서 상호장ㆍ호장ㆍ부호장은 金ㆍ李ㆍ崔에서 많이 배출되었고, 상호장은 호장ㆍ부호장 가문 출신의 호장에서 임명되었다. 향리는 유수관의 통제를 받으면서도 강한 자율성을 띠었으며, 때로는 유수관의 통제를 벗어나 읍권을 장악하기도 했다. Gyeongju was changed to Donggyeong-yusu and Gyerim-bu. This was influenced by movements of Gyeongju people, the change of political power and national system. Though it had the disadvantageous condition that it was away from Gaegyeong, it had a long history, high-level culture, and its people playing active roles in political affairs and culture, so it could hold the position as Donggyeong(East Capital) for a long time. Though a family from Dongyeong was being prosperous or unprosperous in Gaegyeong, another family continued to succeed there. They seldom found such a city as Gyeongju that constantly made the best brains enter into Gaegyeong from the early years to the closing period of Koryeo. Administration system of Gyeongju was composed of Donggyeong-yusu or Gyerim-bu and Gyeongju-sa(a local office). The former was made up of government officials dispatched by state administration, the latter was made up of Hyangni(local functionaries) who lived in the area. 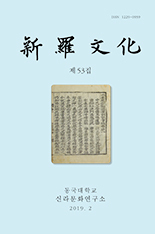 Donggyeong-Yusu at the end of the Koryeo Dynasry was demoted to Gyerim-bu, bur the position of members was promoted and so people on the level of the minister were designated to Buyun. Hyangni of Gyeongju were made up of headquarters of Hojang and vice Hojang, Hojeong and vice Hojeong, the department of military affairs which had Byeongjeong and vice Byeongjeong and the department of financial affairs which had Changjeong and vice Changjeong. In Gyeongju at the end of the Koryeo Dynasty, the chief of Hojang, Hojang, vice Hojang were mostly from the families of Kim, Lee, and Choi. Though Hyangni were controlled by Yusu, they had a strong self-regulation and sometimes they were freed from the control of Yusu.